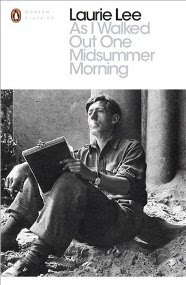 As I Walked Out One Midsummer Morning by Laurie Lee is my fourth book for the European Reading Challenge 2018, which is being hosted by Rose City Reader. It covers the country of Spain. It's many, many years since I read Laurie Lee's Cider With Rosie: I was probably a teenager. It's his most famous book I imagine but As I Walked Out One Midsummer Morning is quite well known too I think. 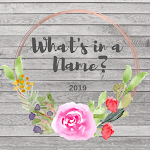 The event's in this non-fiction book take place immediately following Cider With Rosie, where at the end we see Laurie leaving his loving home in The Cotswolds to explore the world... I think he was nineteen. He sets off to see the sea on the south coast of England and then heads to London. Luckily, he's adept at playing the violin so is able to perform in the streets and earn some money. During this time he comes to understand the life of the British tramp during the 1930s, how some of them were not able to pick up their lives after WW1, some just don't want a settled life, and a lot were unemployed and looking for work. After a few months in the the South East he decides to go to Spain (mainly because he knows the Spanish for 'Will you please give me a glass of water') and takes a ship to Vigo in the North Western corner of the country (just above Portugal). From this point he walks, over a period of many months, through Spain to the southern coast. He is ill-prepared for such a journey. The first part is forested and mountainous and not so bad but once he reaches the plains the heat is brutal and unrelenting; the locals think he's mad, naturally, but he's greeted with kindness wherever he goes. How he managed to avoid dying from sunstroke I'm not sure, I fancy he must've been very lucky. Cities visited include Valladolid, Madrid, Toledo, Cordoba, Seville, Cadiz and so on. At one stage he takes up with a South African poet, Roy Campbell, and his family, staying with them for a while. But mainly he was among the poorer sections of Spanish society and Lee's descriptions of the hardship and unfairness experienced by these people are very revealing in respect of why the civil war happened. For me the most interesting part of the book is when Laurie reaches the southern coast. He visits Gibralter and then walks along the coast until he reaches a small village called Almunécar near Malaga. Here he settles in for the winter, employed by a local hotel as an odd job man and playing the violin at night in the bar. But war is looming, not WW2 but The Spanish Civil War, and sides are being picked. People start to die and Laurie has a decision to make. I was a lot more impressed with this than I expected to be. Spain is not a country I have much of an interest in (and to be honest, still haven't) but Laurie Lee's writing is so rich and luscious that you can't help but love the book and be fascinated by his experiences. I gave it a five on Goodreads. I wasn't thinking to read the third book, A Moment of War, about his experiences in The Spanish Civil War, but now I think I might at some stage... one or two of the books I read about WW2 in France touched on it and it might be interesting to find out more. This month I seem to have read three crime books in succession, just as I did at the start of February. Unlike February though, not all of them worked for me, but that's just the luck of the draw. 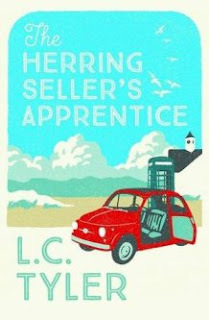 First up, The Herring Seller's Apprentice by L.C. Tyler. Ethelred (known at school as 'Ethel') Tresider is a writer, a fairly average one who is never going to win any literary awards but his books sell well, especially his Sargeant Fairfax crime series. He's divorced, his wife left him for a close friend ten years ago. When she suddenly goes missing, people seem to think Ethelred should lead the search to find her, rather than the police. Until her body is discovered in a lonely spot close to his home and then he becomes a suspect in a murder enquiry. Luckily he has a watertight alibi, he was in France at the time of her death. But Ethelred's agent, in the form of Elsie Thirkettle, who doesn't like writers, won't let the police have sole responsibility for the investigation. She eggs him on to dig into the affair. The trouble is... she can't really decide what he's up to, could he really have done away with his ex-wife? I'm not sure what was wrong with this book for me. I gave it a three on Goodreads, which tends to mean I liked it, but didn't love it and really felt a bit 'meh' about it. It started out making me laugh, some nice humour, and Elsie is a fun character. But I didn't get a really strong sense of anyone in it to be honest. 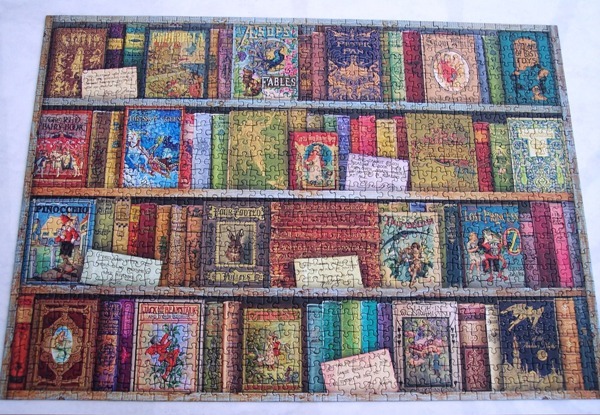 It was lightweight, which is fine, sometimes that's exactly what you need to read at times, but I do like to feel connected to the people in a book and I didn't with this. I didn't care about anyone and that's fatal for me. I did read to the end though and there was a bit of a twist, although it's easy to guess at. All in all it was ok and will appeal to lots of cosy crime fans but I probably won't carry on with the series. 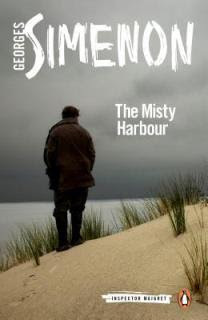 Next, The Misty Harbour by Georges Simenon. Maigret is on his way to the village of Ouistreham on the Normandy coast. It's a village at the mouth of the canal to Caen and is very busy with large ships going back and forth. He has with him two people. A Captain Joris who was found wandering in Paris and has no idea of who he is and a bullet wound in his head. His housekeeper eventually came to claim him after word was put out and the three of them are now returning to the village to try to discover who shot the captain. A day or so after their arrival the captain is found dead in his bed, poisoned. This is now a murder investigation but how to make the village people talk? They're determined not let out any secrets, but so is Maigret determined... to find a killer! Some of these Maigret books hit the mark with me and some don't. I think I like it when he leaves Paris and heads off to an insular community full of secrets - which is the case here. Simenon was 'excellent' at atmosperes in remote coastal regions... 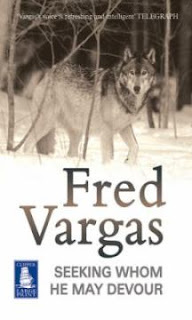 The Yellow Dog and Maigret in Holland are just two examples. I love these windswept, lonely places where he is always looked upon with extreme suspicion and has to ferret out secrets. These closed communities might seem idyllic but they're often very far from it and Simenon obviously knew that. An excellent read, really enjoying these occasional Maigret books. Last book, Breakup by Dana Stabenow. It's Spring in Alaska and with it comes the melting of the snow and ice that entombs the state throughout its long winter. This period is commonly known there as 'Breakup'. Kate Shugak hates this time of year. People cooped up all winter in cabins go a bit mad when they're suddenly let loose and mayhem often ensues. The season doesn't start well when two things happen. First, she's just about escapes with her life after an encounter with a Grizzly, near her cabin, and second, an aircraft passing overhead loses an engine and it falls onto Kate's land almost destroying her house. After that things go downhill rapidly with a shootout at a local bar followed by a trip out with the parents of her neighbour when a light aircraft falls on their car, more shootouts, and a woman is found dead, mauled by a Grizzly. This is one of the worst Breakups Kate can remember. This is number seven in Dana Stabenow's Kate Shugak crime series of books. 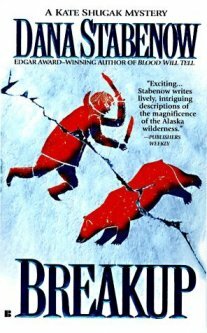 I have to say it's much more about Alaska and its quirkiness during Breakup than it is about murder. I liked that as it was funny and just a bit mad but it might not be everyone's cup of tea. Kate is well and truly put upon by all and sundry. Even though she does not work as a police officer any more they still think she should be available to solve all their woes. All she wants is a peaceful life with Mutt, her wolflike dog, but the likelihood of her getting it is zero as she has inherited a personality that exudes authority from her grand-mother. I love this series... not so much for the crime element, though that it is good, but for Kate herself... she's an amazing character. And also for Alaska. I'll probably never go there but these books give a good idea of what the state is like and feed my hunger for armchair travelling. *Update* we have about six inches of snow this morning... certainly not Spring! 9. 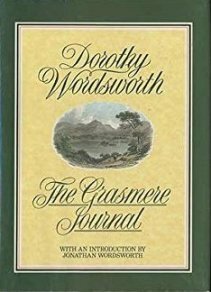 The Grasmere Journal - Dorothy Wordsworth. While this was interesting in places I was not as smitten as I thought I would be. A few things struck me though. Firstly, how ill Dorothy and William seemed to be a lot of the time. Practically every day one or both of them was sick... she doesn't really say what with or how serious it was, but still. Also, depsite all this sickness, they walked endlessly around the countryside for pleasure. Mind you, The Lake District is ideal for that sort of activity. The other thing is how many people were destitute. Again, every day they had people come to the door begging or came across some very sad cases on the roads. Anyway, some beautiful descriptions of the area but all in all slightly too repetitive for my taste. Loved how very French this was, and amusing, and just a bit weird. Getting back to this series has been a revelation and I'll be reading a lot more of them this year.